North Dakota's 9 Best Live Theater Venues! People have been enamored with the stage for centuries, and North Dakota is no exception. Frequently, some of the best live theater venues grant audiences an intimate show-watching experience with a smaller venue size and ideal atmosphere. North Dakota is home to several smaller theaters, giving patrons the dramatic experience they’re looking for. Here are the nine best places to see live theater in the state. The Stage at Island Park has been the home of the Fargo Moorhead Community Theatre for over seventy years. Modeled after the famous Guthrie Theatre in Minneapolis, the Stage provides an intimate setting for the FMCT’s numerous productions each year. The theatre also hosts several community events and activities yearly. Home to North Dakota State University’s many musical and theatrical performances, the Festival Concert Hall 1,000-seat venue built in 1981. NDSU’s theater program provides some of the area’s premiere live theatrical events. In addition, its music program is hard, if not impossible, to beat. Located in a renovated warehouse, Theatre B is home to the productions of many lesser known, yet excellent, plays. A smaller venue than its theatrical counterparts in Fargo, Theatre B is nevertheless known for envelope-pushing and thought-provoking productions. The Fire Hall Theatre is home to the Greater Grand Forks Community Theatre, a production company established in 1947. The GGFCT purchased the old fire hall in 1982 and haven’t looked back. Although the theatre sustained substantial damage during the historic flood of 1997, the show went on. 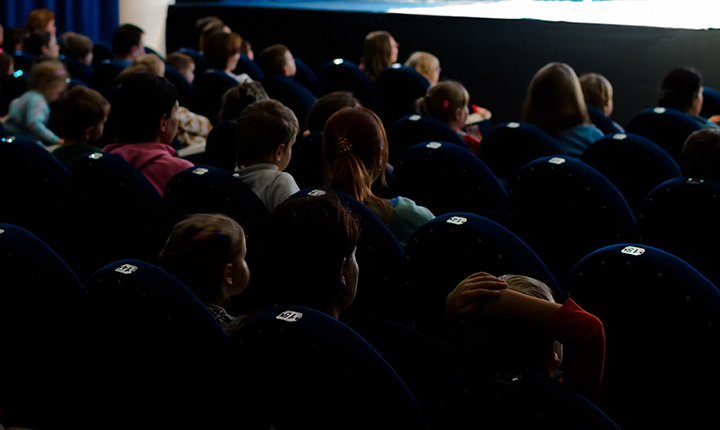 In addition to performing a wide variety of shows yearly, the theatre is also home to an array of children’s workshops and events. A multi-purpose facility located in downtown Grand Forks, the Empire Arts Center has been called "a jewel in the heart of Greater Grand Forks." The theater was originally a movie house built in 1919 before it was renovated in 1998. The result is a unique theater setting with a vibe of authenticity and historical relevance. The Empire is home to a variety of live theater events, concerts, and community events. Located on the campus of the University of North Dakota, the Fritz (as it is known to locals) was built in 1965 with the goal of being the best performing arts center in the Midwest. The 2400-seat auditorium is home to a wide variety of events, including theatrical performances courtesy of UND’s excellent theater program. The eastern side of the state is not the only place to find good theatre. Minot’s Arlene Theatre is home to the Mouse River Players, an all-volunteer community theatre company formed in 1971. The Arlene was originally the Old Labor Temple before it was renovated by the theatre company in 2004. The Mouse River Players perform a variety of shows each year, including those geared towards children and families. Created to give youth a place to explore their artistic talents, Sleepy Hollow is home to a variety of live theatre opportunities. The outdoor stage provides a unique viewing experience that sets it apart from its theatrical counterparts. Created within the belief that “culture builds community,” the Arts Center provides the Jamestown community with a variety of arts activities. Operated by the Jamestown Fine Arts Association, the center includes a performance stage, classrooms, and an exhibition gallery. View more North Dakota Theaters and Playhouses.